TERRATEST GROUP can respond adequately to new environmental challenges that are plated, and has specialized media, knowledge and technology to carry out activities in sectors as diverse as the oil industry, mining, waste management, civil infrastructure, tunnels, ports, power generation and distribution, and water supply, among others. TERRATEST GROUP has a team of experts, combining classic and new geotechnical disciplines of applied hydrogeology and environmental management, to offer a wide range of solutions in civil engineering, oil industry, mining, groundwater resources, construction, etc. TERRATEST GROUP has the most effective technologies for the remediation, removal and/or confinement of contaminated soils and groundwater, which are combined according to a strategy aimed at reducing costs and environmental risks. We also provide professional engineering services and technical assistant, to carry out characterization studies and risk analysis. 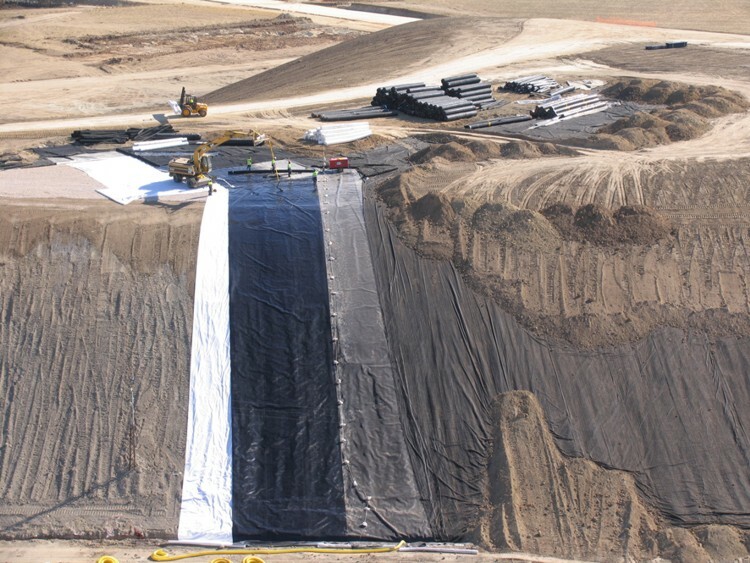 TERRATEST GROUP offers the best available techniques for performing the work of waterproofing of landfills for municipal and industrial waste. Also we provide research services as location, environmental impact, design and drafting of projects, and control and environmental monitoring. The closing and sealing of landfills is aimed at reducing the environmental impact of final disposal of waste on the environment, ensuing isolation conditions in time to prevent contamination of soil and ground water, and the emission of gases and odors to the atmosphere. In the case of municipal waste landfills, are particular relevant, the actions of degassing and energetic use of biogas generated. TERRATEST GROUP has an extensive curriculum of construction dams for water regulation and storage. It is waterproofed with geomembranes infrastructure to ensure that no seepage into the ground, that preserve the water quality to its further use: drinking water, irrigation, industrial, aquifer recharge, etc. A lot of impoundments for the storage of mine tailing, industrial and leachates has been constructed by TERRATEST GROUP, through the combination of artificial mineral barriers and geomembranes, complying with safety standards and containment to avoid environmental contamination.